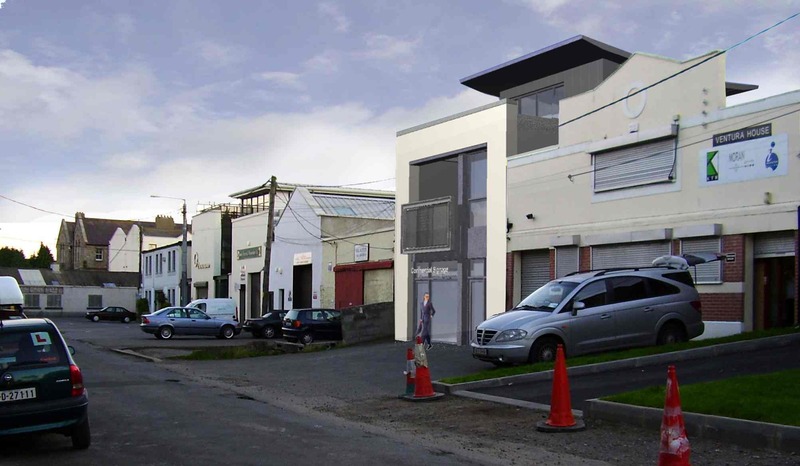 Apartment, office and industrial/commercial building, Blackrock Co. Dublin: Planning application granted 2008. 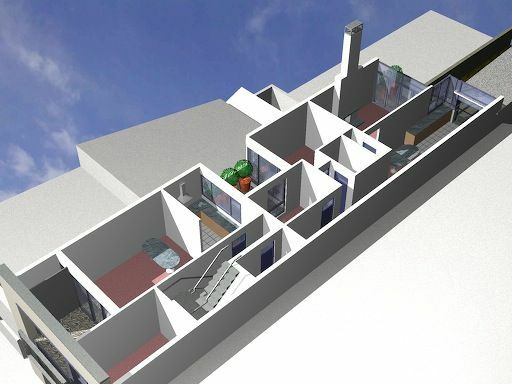 The brief called for workshop or commercial use to the ground floor, office use to the first floor, and two high-amenity apartments to the top, second floor. The apartments were designed to open to roof gardens, balconies, and have access to the garden of the existing house. The site for this development is remarkable: the mews of a large Georgian house, a Protected Structure, which sits in a quiet, sheltered garden, but backs on to a mixed residential/industrial back street full of vehicle repair shops and small offices. 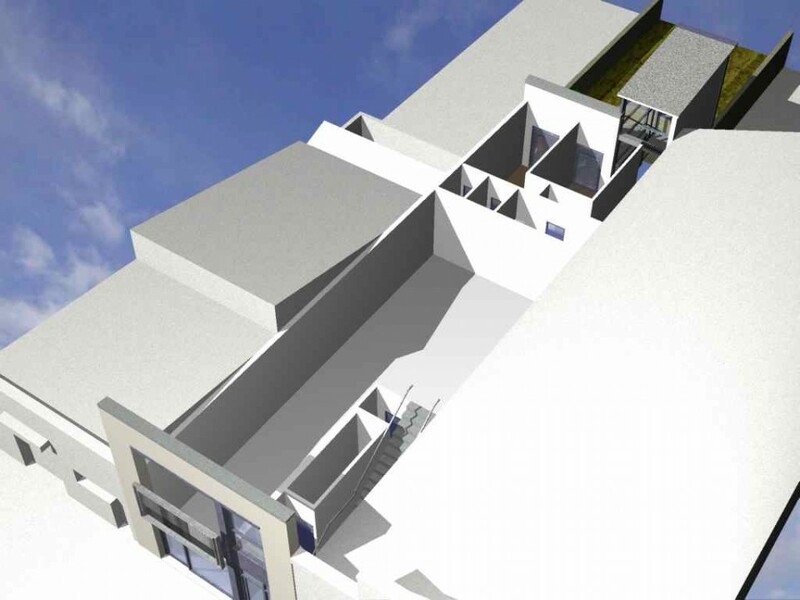 The challenge was to create good-quality residential accommodation addressing the existing garden, wrapping over a commercial, semi-industrial façade to the back street. 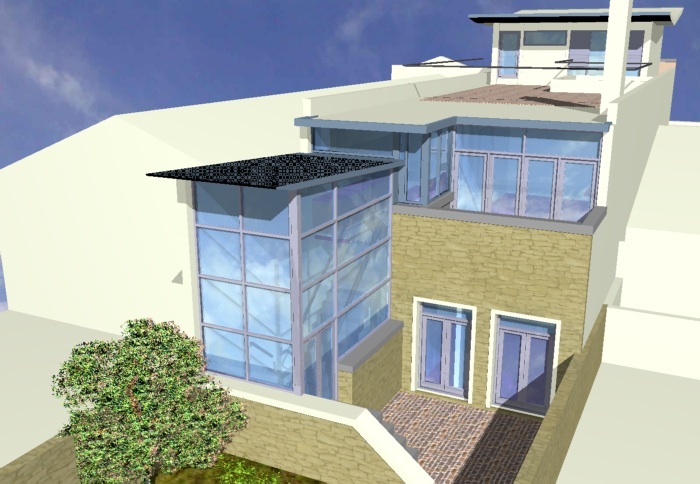 The existing mews coach-house was to be demolished but its materials were to be salvaged and incorporated into the garden façade of the proposed building.